In a Q&A with Islander season-ticket holders last Tuesday, head coach Barry Trotz revealed to the near 2,000 fans clad in blue and orange that before this season he asked his group of players two questions about the team’s next potential captain. Who’s a leader? and Who do you respect? The majority of the answers he received was Anders Lee. And so far — with the Isles tied for first place in the Metropolitan Division with ten games to play — Trotz, and first-year g.m. Lou Lamoriello made easily the right choice. Under Lee’s leadership, the team is on the verge of a playoff birth and his teammates have gravitated toward him. Lee being chosen as the 15th player to don the “C” in franchise history only seemed like a dream more than reality just nine months ago. After the Islanders lost their former captain, John Tavares, to the Toronto Maple Leafs on July 1, Trotz and Lamoriello ushered the same message that they might forgo this upcoming season without naming a captain. Many believed that since it was going to be an evaluation year for the new brass, they could find the next leader of the club after examining who stood out among the group. That narrative rendered from the same decision Lamoriello made when he took over the general manager’s role when he arrived in Toronto in the summer of 2014. 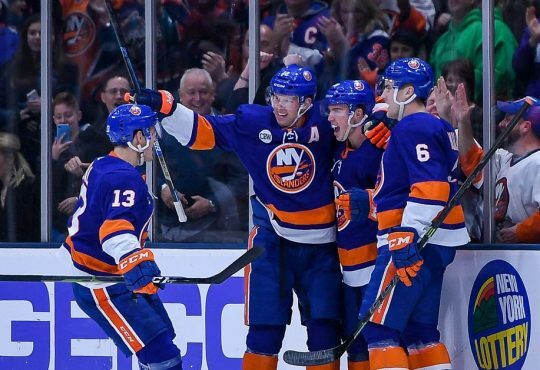 But, just when it was basically assured that the Islanders would go without a captain and assemble a trio of assistant captains on a game-by-game trial, Trotz and Lamoriello named Lee captain before the team’s first game of the year in Carolina. The decision, a bit stunning since it came right before the team was about to take the ice, was met with praise from the players in the room and the fan base. Lee himself was so overwhelmed with joy, that his trademark smile just wouldn’t leave his face. 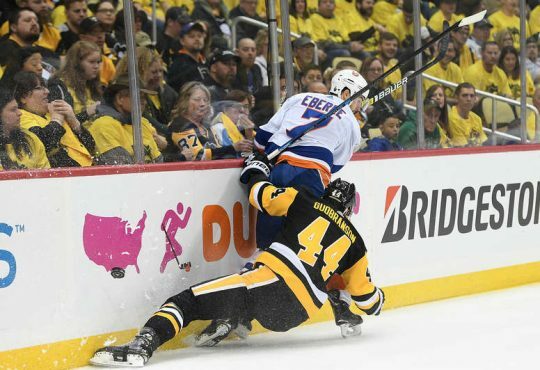 Through his first foray as captain, Lee has been everything Isles fans could have imagined — feisty, hard-nosed, the ultimate competitor. From an offensive perspective, this year has shown the 28-year-old is still in that group of elite goal scorers. After yesterday’s win in Minnesota, Lee has 27 goals in 72 games played. He’s added 20 assists, two away from setting a new career-best. With just three weeks left in the year, Lee has a chance for a third straight season with 30 or more goals. And recently, how he’s been lighting up the scoresheet, Lee hitting that plateau seems more likely than not. 26th of the season and goals in 3 straight for @leeberr09. Scoring four goals in his last four games — after going through a dry spell — shows Lee’s game has still trended upward. Lee has basically perfected playing with one hand on the stick while using the other hand for leverage when trying to beat other defenders. 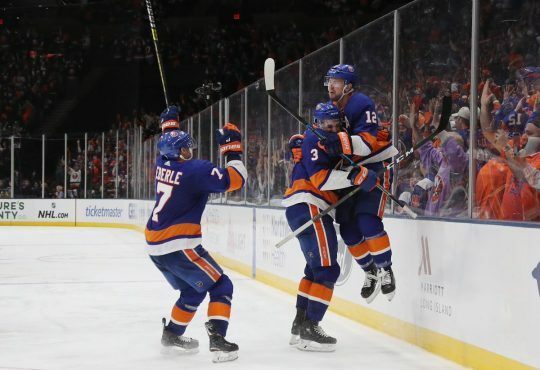 Never flat of foot, the 6’3, 231-pounder’s ability to use his strength and large frame have made him one of the more important forwards that the Islanders attack runs on. Add in that Lee’s continued to be the one who does the dirty work on the power play — if and when they actually get chances — making him that much more valuable. 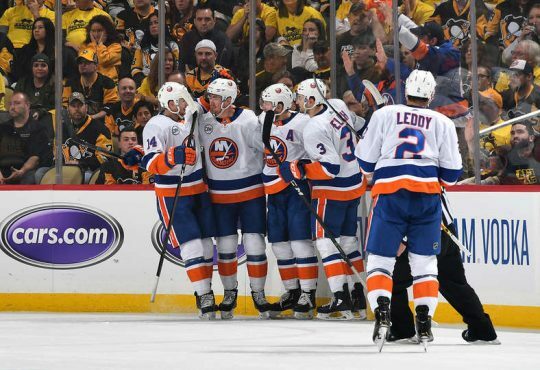 When the Islanders end their three-year playoff absence sometime in the next week or so, Lee will join Clark Gillies, Denis Potvin, Brent Sutter, Michael Peca and Alexei Yashin as the only players in franchise history to lead the team to the postseason in their first year as captain. That would be some accomplishment based on the expectations that the Isles would finish in the basement. It would also be Lee’s second shot at playing in the postseason. He participated in the first five games against Washington in the Conference Quarterfinals in 2015 but was questionably sat for games six and seven. He was also all set for the Isles run in the 2016 playoffs but suffered a broken fibula with three games left to go. 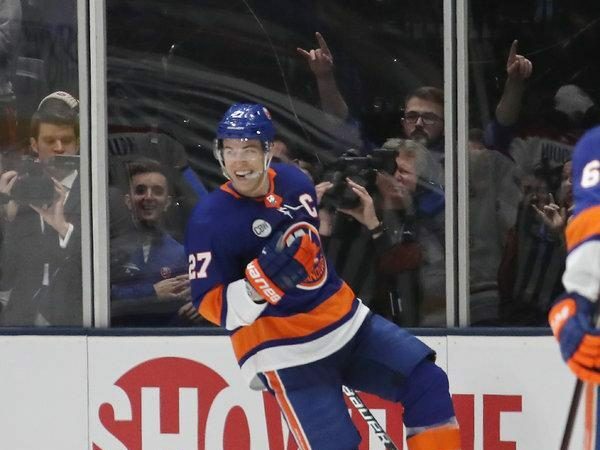 After how things unfolded with Tavares, fans and the organization itself now need that confirmation that Lee is staying. Who could blame them either? Losing a captain two years straight and getting burned again would be an extremely bad look for the organization on many levels. How Lee has represented himself this year though and the things he’s said, it seems like he doesn’t want to leave. Lee’s one of the major pieces to the puzzle of the “foundation” Trotz and Lamoriello have in place. That foundation is only in its beginning stages which should also help swerve Lee to commit long-term and helping make this team a consistent playoff contender. Having already brought so much to the fans and the organization in only six months, Lee’s become a huge part of the Isles identity. The game against Toronto proved it. 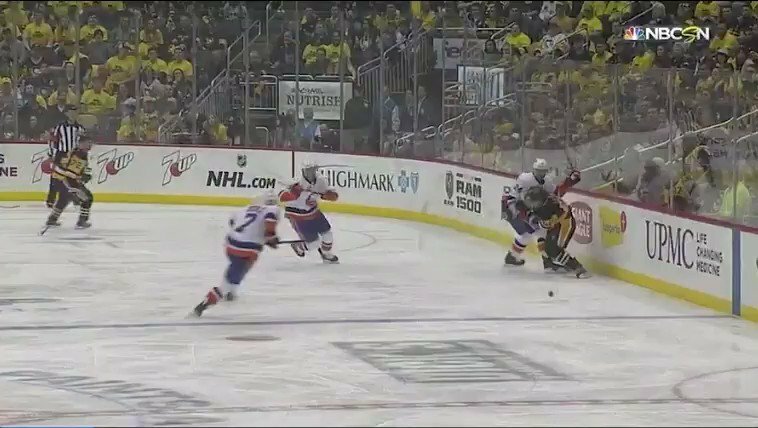 After Lee scored what turned out to be the game-winning goal, the Coliseum faithful started a “THAT’S OUR CAPTAIN!” chant. Those fans meant it too. That pride, leadership, and work ethic are what embodies Lee and that’s why the fans are drawn to him. Hopefully, that was just the first of those extremely special moments to come for Lee for a very long time as the captain of the franchise.